They came in their thousands, Nottingham’s greatest collection of Fred Perry polo shirts, Doc Martens, shaved (and plenty of bald) heads together with the odd fez. It is a measure of the passion the Camden nutty boys still command that the uniform has changed so little, even if the hairlines have, both on and off stage. Having first seen them perform at Nottingham’s Theatre Royal over 30 years ago, it is good to see that so little has changed. 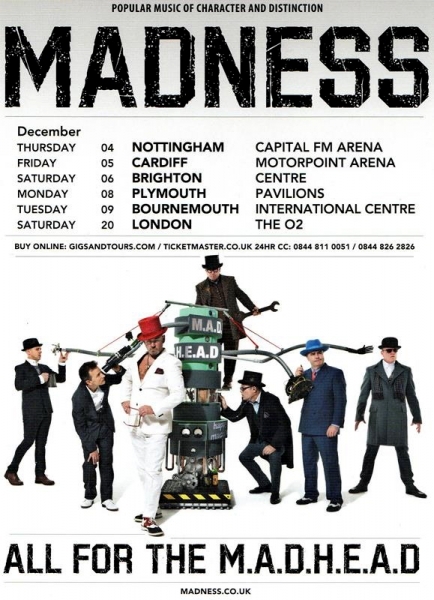 Whilst Madness have been together for 38 years (including the six years that they took off from 1986-92), the line-up has barely changed. 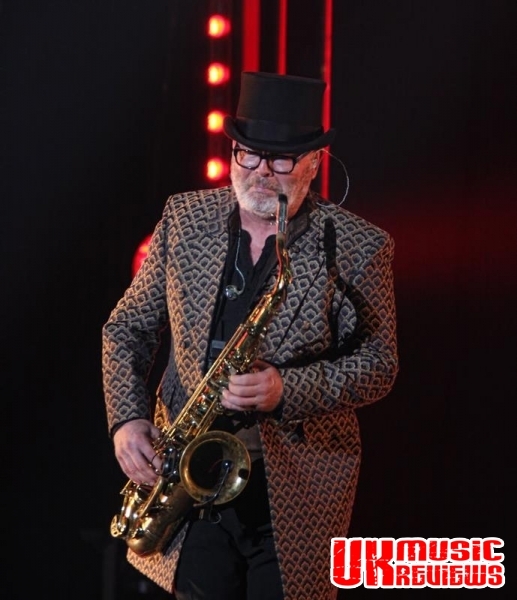 So it was with some sadness that we learnt that recently, trumpeter Chas Smash has left to pursue a solo career. But this was clearly to be a night of fun. Two saxophones mirrored the video backdrop and met in the middle. 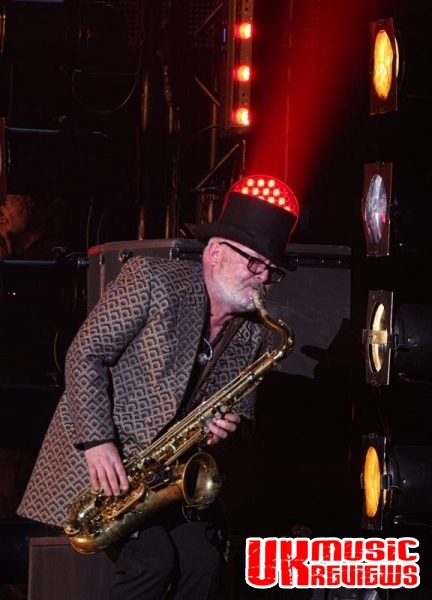 They were closely followed by the rest of the nine piece group and with a deep honk of the saxophone from Lee Thompson, they lunched into their opener, Night Boat To Cairo, which had the audience instantly bobbing around gleefully like so many dads down at the nostalgia disco. 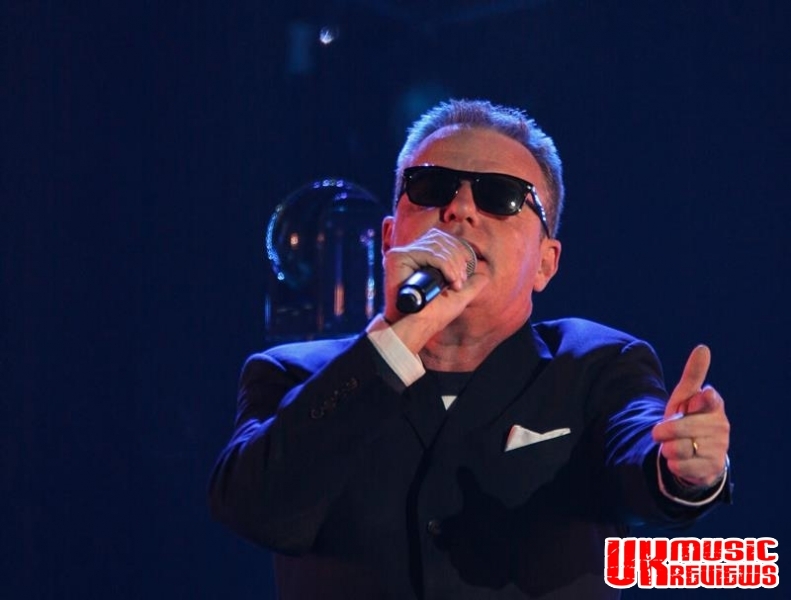 Genuine pop classics like Embarrassment and My Girl all got an airing within the first fifteen minutes and Suggs was in fine form, bantering with the crowd and strutting around whilst Lee Thompson raced from side to side of the stage with his trademark madcap energy. That they are still writing new songs must be the key to this band’s longevity, and tonight some of the new material was showcased. The set followed a rough pattern of hit followed by a lesser known number or a new one. For instance, My Girl was followed by a recent My Girl 2. A lovely The Sun And The Rain led into the promising new The Last Rag And Bone Man, a number which continues the bands fine tradition of writing poignant love songs to London. And then it was back to the hits. 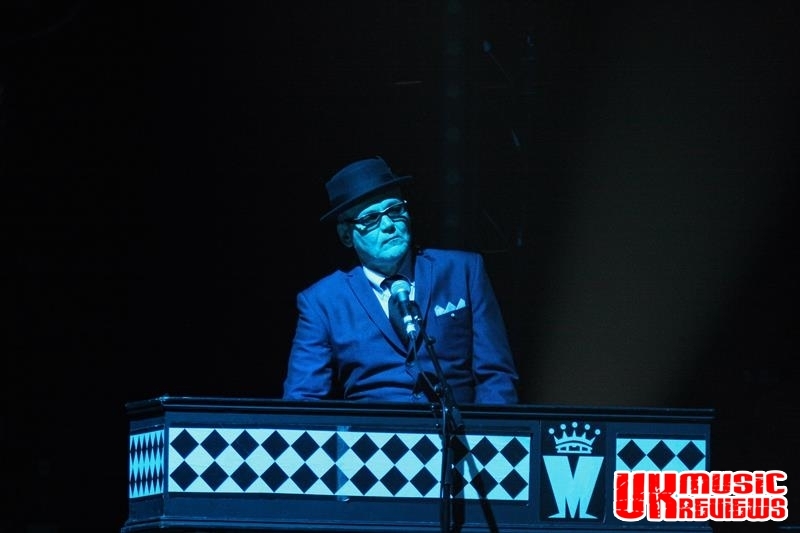 The Prince, the bands ode to ska hero Prince Buster and their first single in 1976, featured a star turn from its writer Thompson who delivered a stonking saxophone solo set. There was plenty of skanking being done, and this Nottingham crowd obliged. 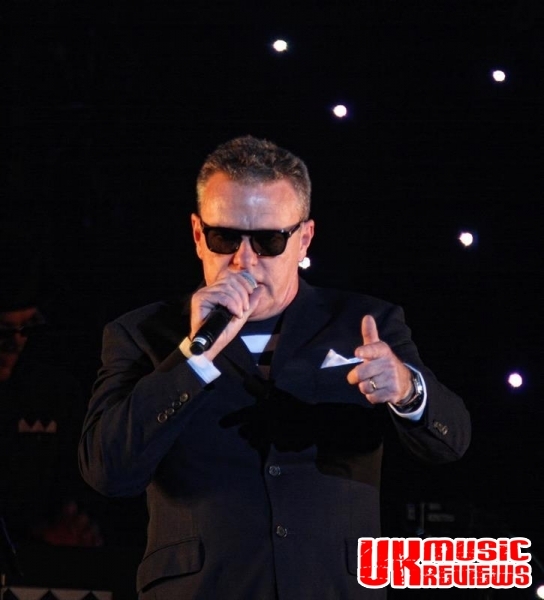 But there is more to Madness than ska. One of the band’s late career singles, Love Struck touched on the subject of drunkenness, whilst Wings Of A Dove added a little calypso flavour to the proceedings, and which induced a crowd sing-along. In no time at all the party was in full swing. We had the irrepressible House Of Fun, the ebullient Baggy Trousers and Our House was accompanied by a slide show of Glasgow buildings and landmarks. A corking It Must Be Love brought the main set to a close. By the time they reached the encore the crowd were wildly noisy. 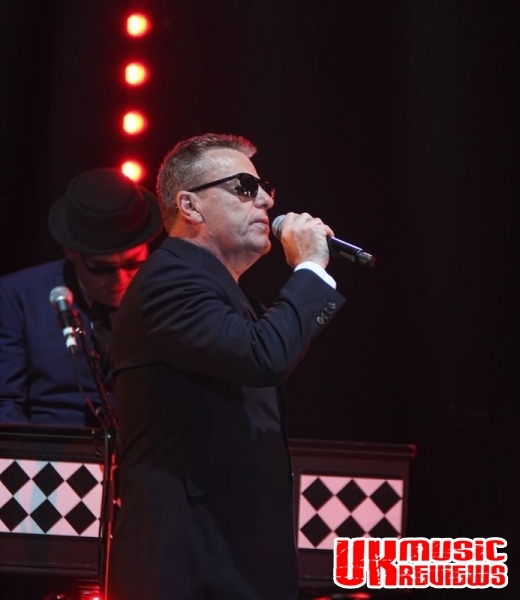 They demanded the band take to the stage again and in no time at all Madness were back with that original nutty sound. One Step Beyond had those few in the audience still seated, up on their feet, whilst Madness had everyone singing along. Finishing the set with a loving cover of Papa’s Got A Brand New Pigbag, the party was drawn to a close. 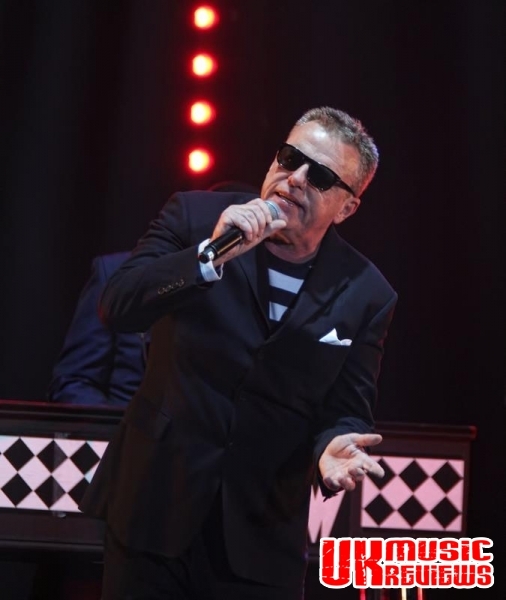 Madness’s annual pre-Christmas tour may have become a somewhat comfortable and predictable fixture, but they were so peerlessly loveable and entertaining that it would be a shame if it were to stop any time soon. They are such a charismatic hit machine that have sold cartloads of records to everyone from pop kids to die hard punks, and on tonight’s showing, it was not hard to see why. It was a very exhausted and satiated audience who left the Arena tonight, many still singing; Madness, they call it madness.